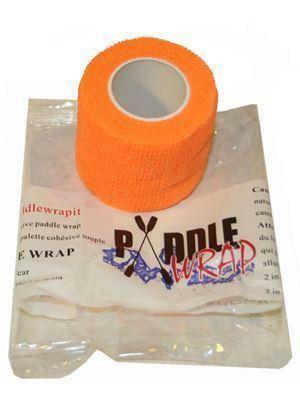 Paddle Wrap is a disposable product that is used much like hockey tape. It is a stretch, stick to itself not to your paddle synthetic woven latex like tape that won’t damage your paddle or leave any marks or residue. Wrap it around any kayak or canoe paddle shaft where you would normally grab your paddle and instantly you will have improved grip and comfort. Its bright colours look great, and make identifying and finding your paddle easier. Disposable tape for improved grip. Ideal for customisation, covering nicks in the paddle shaft and just improving the feel of your blades.